Isotretinoin which is sold under several tradename including Accutane is an acne medication that is a synthetic form of Vitamin A. The drug has been commonly sold and marketed to alleviate severe acne symptoms by inhibiting oil gland and cell growth. Scientific evidence has linked the acne drug, Accutane, to severe side effects including increased risk of inflammatory bowel disease (IBD), Ulcerative Colitis, Crohn's Disease, and suicide. If you have been taking Accutane and have suffered inflammatory bowel disease (IBD), Crohn's Disease, or Ulcerative Colitis, please immediately seek medical attention. If you have a question about a potential Isotretinoin or Accutane lawsuit, please feel free to e-mail Texas Accutane Crohn's Disease, UC, and IDB Lawyer Jason Coomer with your name & contact information or use our online form for a free case evaluation. The leading pharmaceutical manufacturers of the acne drug, Isotretinoin, have received billions in revenue from the sale of the acne drug, Accutane. Isotretinoin is sold under several trade names including Accutane, Amnesteem, Claravis, Decutan, Isotane, Izotek, Oratane, Isotrex, Isotrexin, Sotret, Ratane, and Raccutane. Texas Dangerous Drug Attorney Jason Coomer commonly works with other lawyers throughout Texas and the United States including Houston Accutane Crohn's Disease Lawyers, Boston Accutane Ulcerative Colitis Lawyers, San Antonio Accutane Ulcerative Colitis Lawyers, Dallas Isotretinoin Crohn's Disease Lawyers, California Isotretinoin Ulcerative Colitis Lawyers, New York Acne Medication Digestive Disorder Lawyers, and other Austin Dangerous Drug Claim Lawyers. By sharing information and working together, his law firm and other firms throughout Texas and the United States and are able to provide better representation for there clients. 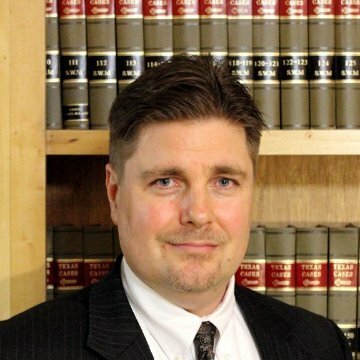 Texas Isotretinoin Crohn's Disease Lawyer Jason Coomer also works on Reglan Tardive Dyskinesia Lawsuits, Paxil PPH Lawsuits, Pharmacy Misfill & Drug Interaction Lawsuits, Mesothelioma Asbestos Lawsuits, and other Personal Injury and Wrongful Death Lawsuits. If you have been taking Isotretinoin including Accutane or you believe that you have suffered serious digestive problems including Inflammatory Bowel Diseases (IBD), Ulcerative Colitis, or Crohn's Disease from Accutane, it is important that you immediately seek medical attention. For questions regarding a Isotretinoin Accutane Ulcerative Colitis, Crohn's Disease, or Inflammatory Bowel Disease (IBD) Lawsuit, please feel free to e-mail Texas Accutane Crohn's Disease Inflamatory Bowel Disease Lawyer Jason Coomer with your name & contact information or use our online form for a free case evaluation.